Do you want something new? Something like an art surprise (?) 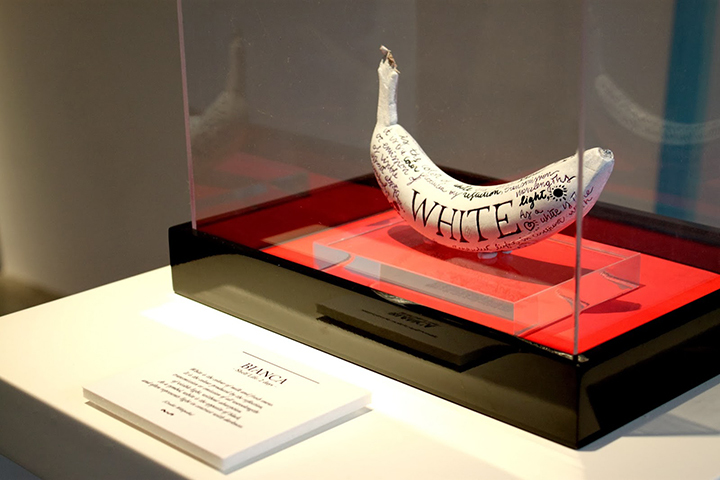 Well, then this is a perfect time to check out Marta Grossi’s banana graffiti. What started as an experiment with a drawing on a fruit, turned out to become a fantastic idea of making patterns for banana skin. Using it as a canvas, she created funny and delightful pieces of edible artwork, that later serve as a breakfast. “I customize my banana during the night. I have my banana for breakfast the day after. This is a temporary space and love to prove that inspiration is everywhere,” – says the designer. She didn’t use any new technique to create the design, only everyday tools such as pen, color pencils, markers and glue. 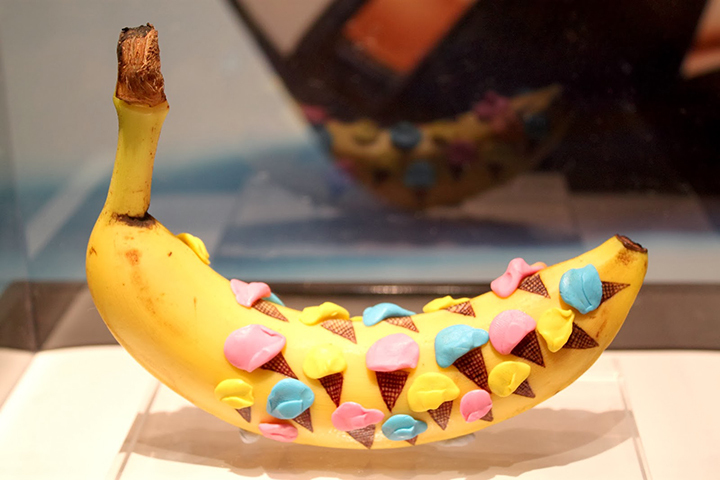 Banana graffiti has become a symbol of creativity. The idea behind Marta’s art is to free your passion, use objects and materials around you to evoke your imagination. 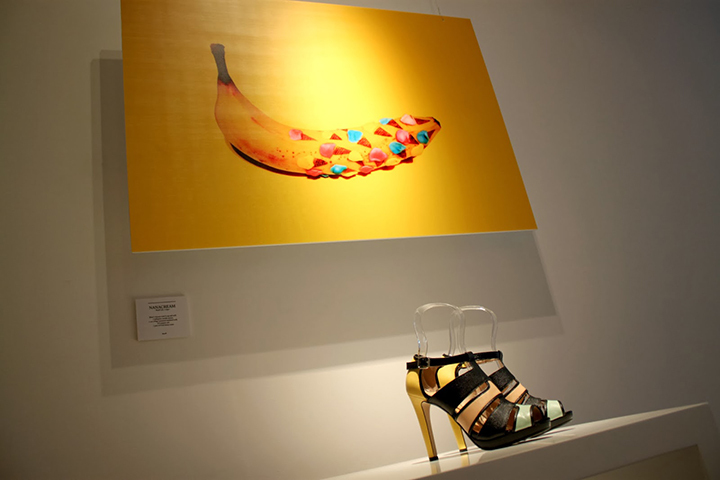 Her last exhibition combined with the opening of Pedder Red’s SS 2014 collection of shoes. Pictures of banana graffiti, circus and jungle inspired shoes matched perfectly, and you could easily find yourself wanting to purchase both!